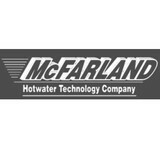 McFarland Hotwater is dedicated to excellence by providing honest, ethical and courteous service to you, our valued customers. We believe that quality performance and a mutual respect for our customers is essential to a long-term service relationship. As a leading distributor for spa parts we strive to meet your needs everyday. Watch our web site for future updates. We are nationally recognized as one of the leading parts distributors of all Jacuzzi brands as well as many other brands. McFarland Hotwater repairs all makes and models of Spas, Hot Tubs, Whirlpool Baths and Steam Showers, in the Minnesota and Wisconsin area. In business since 1978, our knowledgeable, courteous, and helpful staff is committed to your total satisfaction guaranteed! For over thirty years we have specialized in in-ground concrete swimming pool plastering and restoration. Both residential and commercial from a back yard spa to water parks. 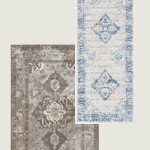 We have a reputation for excellent workmanship. From basic to highly detailed. There is no substitute for experience and specialization. An important aspect of that experience includes the value of understanding the unique challenges of our climate and what it it takes to plaster in Minnesota and surrounding states. That experience makes a difference in the quality and durability of the finished plaster job. You bought your hot tub to relax with friends and family in clean, clear water. 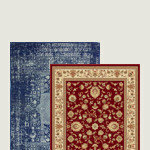 You want to lift the cover, turn on the jets and lights and enjoy the just-right temperature. Owning a hot tub provides endless hours of entertainment, fun and relaxation, but the upkeep and maintenance can be a hassle. And when the spa doesn't work right, you want it fixed right away. We understand. Spa Squad has the service professionals you can trust to ensure uninterrupted enjoyment: We provide prompt and efficient service. Our technicians have more than 30 years of experience. We repair hot tubs as well as maintain them. 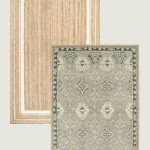 We sell accessories and maintenance products that we bring right to your door. We service a variety of spa brands, including Cal Spas®, Hot Spring®, Marquis®, Caldera®, Coleman®, Jacuzzi®, Master Spas®, Sundance® and Down EastTM, and jetted tub brands, including Jacuzzi®, MAAX® and Pearl by MAAX® and American Standard®. 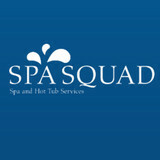 Contact the Spa Squad by phone or email for a thorough assessment of your repair and maintenance needs. We have served Minneapolis and most of Minnesota for more than 30 years with two convenient locations in Blaine and St. Paul. We provide sales, installation, service and maintenance of above ground pools, spas, and Jacuzzi hot tubs to help you create the backyard oasis of your dreams and maintain your pool for years of summer fun. The Pool Store, Inc. is among the largest dealers of spas and above ground pools in the state of Minnesota and an exclusive dealer of Doughboy pools. We can help you choose the right pool or spa to meet your specific needs. Whether you are looking for a small pool for kids to play and splash around in or a large pool with plenty of swimming area, we have exactly what you are looking for. 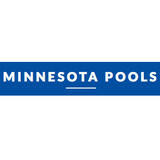 Minnesota Pools Incorporated has been in the business since 1971, building and servicing pools across the entire state of Minnesota. We employ the best personnel available with installation crews that have been with us for over 35 years! Minnesota Pools builds custom concrete pools for many of the top home builders in the area. These are just a few of the reasons why you should be one of the hundreds of clients to own an custom-built Minnesota Pool! Minnesota Pools specializes in designing and building concrete pools and spas for both commercial and residential use. If you can dream it, we can build it! Professional technicians with over 20 years of combined experience with hot tub repair. Carl Goebel and Pat Marshall, two of the top technicians in the area are proud to serve you under their own company, Hot Tub Heroes, LLC. Call the Heroes today! 1st Choice Pool Service provides expert swimming pool care services. 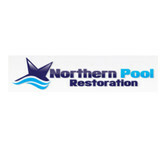 We take pride in providing our customers with affordable swimming pool maintenance, service, knowledge & professionalism. As a family-owned business since 1983, A Pro Pool & Spa of Lindstrom, MN is experienced and well-equipped to fit your home with custom in-ground and above-ground pools. When you're ready to sit down with your architect, designer, and contractor to discuss and plan your new pool or spa, don't forget to include your service maintenance professional, too! Your maintenance and service professional will be better able to devise a regularly scheduled maintenance routine and also provide the proper care based on the information provided by the architect and designer. Simply stated an Xchange Pool Heater (powered by SolarAttic)is a heat exchanger mounted in your attic that takes the heat from your attic to heat your pool. As a bi-product the exchanger is blowing air conditioning into your home cooling it down. It cost as little as a 100 watt light bulb to run, and now you can finally have your pool at the temperature you want everyday of the season. Expert Swimming Pool service and maintenance. Custom builders of ponds, fountains & waterfalls. Specializing in concrete permanent swimming pools, ponds, whirlpools openings, closings and weekly service. Address: 2925 Buckley Way, Inver Grove Heights, MN, 55076 Phone: 651-455-0561 Website: <a rel="nofollow" target="_blank" href="http://www.therapyops.com/#about">http://www.therapyops.com/#about</a> Category: Speech Therapy, Physical Therapy, Occupational Therapists Therapy OPS in Inver Grove Heights, MN, is the area’s trusted choice for comprehensive occupational, speech, and physical therapy services for children. With a mission of progress through play, Therapy OPS can help families who are worried about their child’s speech, behavior, sensory, or motor skills. Their staff of child development experts specializes in everything from autism to sensory and language disordersand can increase progress on therapy goals, help parents find resources, and improve a child’s overall quality of life, whatever the challenge they face. Outpatient therapy is provided for a variety of needs, including autism spectrum disorders, down syndrome, arthritis, AD(H)D, swallowing disorders, and Traumatic Brain Injury. Through structured play, motor skill improvement, and speech therapy, the Therapy OPSteam makes sense of daily life for children and their families. The clinic also works with individuals affected by mental health disorders, stuttering, pain treatment, and voice disorders. Families find comfort and strength in Therapy OPS above all other optionsbecause of their commitment to high-quality, family-focused intervention. Each member of the Therapy OPS staff is an expert in their field and attends and provides professional trainingeach year. With the intention that every family should feel welcome, comfortable, and satisfied with the care received on site, they provide the same kind of progress-oriented care to all clients, regardless of age, ability, or family structure. They believe an innovative approach should still be affordableand a child’s care team should focus on possibilities instead of limits. If you would like to help your child make more progress, contact the dedicated Therapy OPS team to explore new hope through their occupational, physical, and speech therapy services. For more information about their staff, visit their website, or call them at (651) 455-0561. 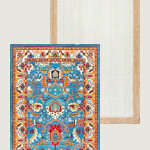 You can also like them on Facebook for updates. What should I look for when hiring a pool cleaning service in Blaine, MN? Pools and hot tubs are big investments, so you’ll want to make sure to protect them by hiring an expert who cares about them just as much as you do. Check that the Blaine swimming pool maintenance service you are interested in actually specializes in the type of pool you have — chlorine and salt water pools have very different needs, and in-ground versus above-ground pools will require different upkeep and repair methods. Also, know who will be doing the repair or service; if it’s one of the larger swimming pool services in Blaine, MN, request that you get same person every time, otherwise you could get inconsistency in treatments. Good Blaine pool professionals will keep a consistent schedule and log everything they do so that it can be referenced in the event that you switch companies or something does go wrong. Like any other professional, look for local pool cleaning companies near you with plenty of good reviews and relevant experience. Find a Blaine, MN swimming pool repair and maintenance specialist on Houzz. Narrow your search in the Professionals section of the website to spa and pool maintenance companies in Blaine, MN and read reviews and ratings for pros in your area.